Keyboard is one of the important input elements which are essential if you are dealing with computer system, using a laptop or playing a video PSP game, where input devices are required to feed the data and get fast output. As compared to old traditional input devices, keyboard is much sophisticated and if we are talking rightly about the keyboards of this generation, they are more sophisticated, soft and reliable. Where technology has been gone through many modifications, go green is the need of day. All the techno gadgets which are currently under use, modifications regarding eco-friendly features is important to embed with all the systems. Where computer systems and other technological gadgets have gone eco-friendly, adopting the Go Green approach, even keyboards and mouse have been changed to use solar energy. 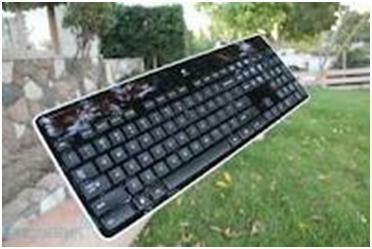 Logitech Wireless Solar Keyboard K750 is a solar powered keyboard which gets charged with solar energy- one of the efficient energy resource and demand of the time. It has been embedded with integrated solar panels to charge and effectively utilize that solar energy after converting it to electric energy. This eco-friendly gadget is entertaining to use, because it doesn’t use any power brick or charging cable and it stay charged for three months at least in total darkness. Logitech wireless solar powered keyboard uses a solar powered app lux meter which will facilitate you to get necessary light and get information about battery levels in just a glance. When you need more power, it will alert you for extra power required. This is the company’s first light powered keyboard. One of the company product development manager told that when they sat down to manufacture and design this eco-friendly gadget, they wanted to design the product to be best at its performance and give a chance to people who want to experience the technological gadgets of Logitech. In those areas where winter seasons remain overall the year and there is no possibility of sun shine regularly, this wireless keyboard will need little energy to work for several months. So, a keyboard powered with solar energy and use of solar panels for charging is a distinctive idea. But even if there is no possibility of regular solar energy to be provided to this keyboard, it will work for three months in darkness. Its thickness is only 1/3 inch and it not only does look good but also feel good. 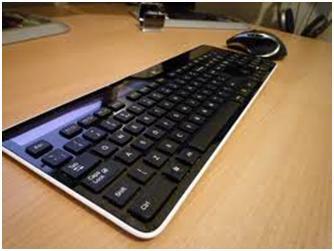 This is a low profile keyboard which features Logitech incurve keys to support the shape of our fingertips.